The debate between advocates and opponents of divesting from fossil fuels is hardly settled. The big success in this movement was the recent decision of Stanford University to divest its endowment from some 100 publicly traded coal companies. The size of Stanford’s endowment, topping $18 billion, grants the fossil fuel divestment movement, largely still based among university students, a momentous success that could impel other big tax-exempt institutions—for example, Harvard University, controlling the nation’s largest university endowment—to follow suit. Can a divestment campaign actually work? Have other divestment campaigns in the history of activism, such as the anti-apartheid divestment campaign against South Africa, had the effect that people think they remember? How might a divestment campaign aimed at fossil fuels differ from those in the past? How are big investors responding to the fossil fuels divestment campaign, pro or con? To what extent does the potential success of a fossil fuels campaign relate to, and perhaps depend upon, national or international public policy? The fossil fuel campaign follows a long line of other efforts in modern history to get major institutions to withdraw their assets from a specific class of investments in order to change a particular behavior, practice, or policy. The best-known example of divestment was the campaign in the 1980s (though actually dating back to the 1960s) aimed at getting universities, foundations, and governments to withdraw investments that did business with apartheid-era South Africa. South Africa eventually did change its policy of apartheid, later democratizing enough to lead to the election of a government led by Nelson Mandela and the African National Congress. Mandela himself credited the U.S. university-based divestment campaign as helping to change the South African government’s position on apartheid, but did it really? Some observers, such as Ivo Welch of UCLA, believe that the divestment campaign per se had “little discernible effect either on the valuation of banks and corporations with South African operations or on South African financial markets.” That may be true, but the financial impact of the South African divestment campaign isn’t what worked. The impact of the campaign was much more moral and political than financial. Politically, the apartheid government of South Africa was isolated and its Western supporters—including, at the time, President Reagan and others—were taken to task by the public. The power of divestment campaigns is that they can bring multinational corporations and government to their knees not financially, but politically. But the South African divestment campaign was a pre-Internet campaign. It had roots in sanctions against South Africa recommended by the United Nations General Assembly in the early 1960s—against the opposition of all major Western nations, including the U.S.—and developed over time. Now, the fossil fuels campaign has the advantage of the instant news distribution mechanisms of the Internet. That can and should be a major boost to the campaign. No one should assume that South Africa was the only successful divestment campaign or that such campaigns always work. A similar powerful divestment campaign was mounted in the 1990s against investments in tobacco companies, with significant actions involving tax-exempt endowments. When Harvard University divested from tobacco, the reverberations were powerful and have continued. Worth noting, however, is the consensus that emerged about how wrong apartheid was and around the scientific evidence regarding the health impacts of tobacco use. Despite the climate change deniers in the political debate, the scientific evidence is overwhelming about the effects of human activity on global warming. That puts the fossil fuel campaign in the arena of tobacco and apartheid in terms of affecting public opinion. However, some campaigns don’t work, or at least haven’t worked to date. The Boycott Divest Sanctions campaign aimed at corporations that do business in the Israeli-occupied West Bank of Palestine has been a source of much debate among activists. Part of the debate concerns whether Palestinian workers are better off employed by firms such as SodaStream in Israeli settlements on the West Bank as opposed to left to unemployment without their investments. The BDS campaign has been caught up by a lack of consensus around the policies of the Israeli government in the West Bank and, in the U.S., a significant lack of sympathy toward the Palestinian cause. Moreover, regardless of positions for or against the Israeli government or the policies of the Netanyahu administration, there is significant sympathy for Jews, who created the nation of Israel after the horrors of the Holocaust, even though Palestinians consider themselves to have been victims of the mass displacement by Jewish settlers that they call the Nakba. There was no comparable sympathy toward the minority of whites ruling South Africa, much less the CEOs and investors behind big tobacco. It is difficult to imagine that the big producers of carbon pollution will generate any sympathy as the public learns more about the impacts of fossil fuels on the environment. A reading of the recent White House report on climate change makes dismissal of the “moral” implications of fossil fuels much less supportable than Welch suggests. Moreover, were fossil fuels made more difficult to use, it would increase the market for available and productive alternative technologies like solar. The recent news that the climate change chief at the United Nations, Christiana Figueres, is negotiating with the Vatican to get Pope Francis’s support for fossil fuels divestment might change the moral “calculus” that Welch dismisses. It doesn’t hurt the moral argument for fossil fuel divestment that the campaign was recently endorsed by South Africa’s Rev. Desmond Tutu. The Stanford decision is impressive, but there hasn’t been a flood of other universities following the Palo Alto school. Harvard, for example, has not joined the fossil fuel divestment to date, in contrast to its support of tobacco divestment and its earlier support—halting, but support nonetheless—of the South African campaign. Harvard President Drew Faust has actually said that she will not talk to the student-led Divest Harvard group because of Divest’s involvement in on-campus protests, ignoring the fact that such protests accompanied the South African divestment campaign efforts at Harvard and other colleges (Harvard Crimson, May 8, 2014). In the instance of fossil fuels, the Stanford decision and the campaign to move Harvard have been accompanied by a surprising number of critical commentaries. Harvard has so far rejected calls for divestment, arguing that the financial cost to the university from pulling out of investments in such a large part of the global economy would be huge and destructive. Boston Globe columnist Jeff Jacoby argues that divestment harms the ability of Harvard to provide financial aid, as it does to 70 percent of its students (Boston Globe, May 14, 2014). One can imagine that this will be an argument in the nonprofit sector, where foundation endowment managers will argue for maximizing their economic returns in order to maintain or increase financial grant support for grantees. In addition, Jacoby argues that keeping the investments in fossil fuels allows the university to exercise “leverage,” though he doesn’t describe what kind of leverage he thinks the university might exercise. He could mean that Harvard could initiate shareholder actions to change the corporations’ policies, but changing the policies of fossil fuel corporations, other than getting them out of fossil fuels, is somewhat futile. 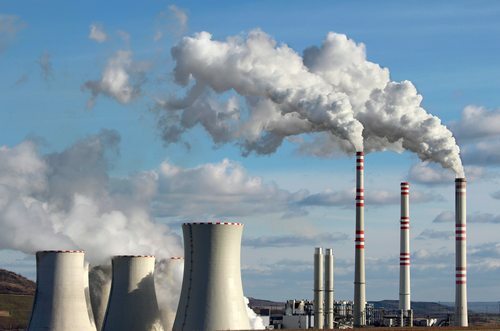 It is the belief in theories such as “clean coal” that motivates some investors to hang in with these corporations despite the investors’ environmental concerns. Reuters recently reported that the three largest retirement funds—two in California representing state government employees and teachers and one in New York for public employees—do not intend to divest, “prefer(ring) to work with their portfolio companies to improve their behavior rather than divest them.” Harvard’s position is to encourage fossil fuels corporations to make increased disclosures about their carbon emissions per social investing principles endorsed by the United Nations rather than to divest. That has to be an issue for philanthropic foundations in general. In January, 17 foundations including the Wallace Global Fund and the John Merck Fund pledged to divest from fossil fuels and called on other foundations to join them (Associated Press, January 31, 2014). There are now 19 foundation signatories to the divestment pledge, including the Park Foundation, the Jessie Smith Noyes Foundation, the Compton Foundation, and the Educational Foundation of America. However, these 19 add up to a drop in the bucket of the more than $600 billion sitting in foundation endowments and notably do not include the biggest foundations such as Ford, Gates, and Kellogg, just to name a few. The Bill & Melinda Gates Foundation has in the past been resistant to calls for divesting from companies whose activities were seen as helping keep the murderous government of the Sudan in power. For foundations to address the reality of climate change and global warming and the role played by fossil fuels, it will take some very uncomfortable discussions with the trade associations they belong to. Some foundations might say that debates over endowment priorities are beyond the scope of foundation trade associations. Others might suggest that foundations’ focus on the five percent of their endowments devoted to grantmaking leaves 95 percent that should be examined for its contributions to environmental sustainability. Todd Gitlin has written that the debate over fossil fuels divestment at Harvard and other universities is fundamentally a question about the university’s role in social change. For foundations, which increasingly describe themselves as agents for social change, it is hard to imagine that they should be somehow immunized from the debate. Lacking on-campus constituencies of faculty and students, foundations can isolate themselves against public discussions of divestment—except when they meet with each other in the meetings of their membership associations, and that may be where the issue will have to be joined in order to affect Gates, Ford, and other massive philanthropic endowments. In pulling out of investments in South Africa or in tobacco, the argument was pretty much clear. There was no good reason to support apartheid; there was no “clean tobacco” alternative for investment. In the realm of energy production, universities and foundations have options about where to place their investments, and with the growth of the fossil fuels divestment campaign, those options are multiplying. A survey of social responsibility investment managers released just this month revealed that most report that their commercial investors are very interested in fossil-free investing choices. The report included the interesting observation that some investors are concerned about “stranded asset” risks—that is, concerns that some investments may be unrealizable in the future due to environmental regulations. Some investment firms are making it clear that institutions choosing to divest from fossil fuels will have economically viable options to select. Calvert Investments, for example, has launched a Green Bond Fund containing a package climate-oriented development bonds, project financing loans, and real estate investments. Parnassus Investments announced recently that it would no longer invest through its Parnassus Workplace Fund in companies that are engaged in any part of the process of mining, processing, refining, or manufacturing fossil fuels. Pax World Management has recently converted a second of its funds from fossil fuel companies. Even Morgan Stanley is working with the Institute for Sustainable Investing to generate financial products for green investing. As Scott Levine writes for the Motley Fool, senior citizens with retirement investments may find the color of their futures shifting from golden to green. “As the tide continues to turn—alternative energy projects supplanting coal and fossil fuel-based projects—the ripple effects will be felt in numerous, sometimes unforeseen ways,” Levine writes. “Pension fund managers are just the latest among a variety of investors who are recognizing the long-term value in renewable energy.” That clearly applies to university and foundation endowments, which by virtue of their size can find and support green alternatives to fossil fuels in a way that makes the potential reduction in their economic returns negligible. Almost immediately after the Stanford University divestment announcement, Kentucky’s Alison Grimes, the Democratic candidate running against Mitch McConnell for Senate, fired off a public letter to the university expressing her displeasure with the notion of divesting from coal companies. Assume that the divestments of universities, foundations, and pension funds won’t stop investment in fossil fuels, and that other investors will step in and buy, perhaps at bargain rates. A divestment campaign isn’t really an economic campaign; the target is political change. Bill McKibben, the founder of 350.org, identifies part of the objective as “break(ing) the power of the fossil fuel lobby.” That’s ultimately necessary because of the conflicting and contradictory stances of the Obama administration, making pro-green/anti-carbon public statements but often doing little to back those statements up with public policies. Realize that fossil fuel divestment is a political movement, not a narrow political campaign. If Harvard ultimately agrees to divest, that means it will be dropping investments of only $34.6 million in the world’s top 200 fossil fuel companies. The targets of divestment in these companies are Congress and the White House, both getting them to finally act on the knowledge of climate change and pushing them to put substance behind their vocal commitments to strengthening green economy investments. Decolonize this Place protestors demand that MoMA divest from private prisons and weapons manufacturing.